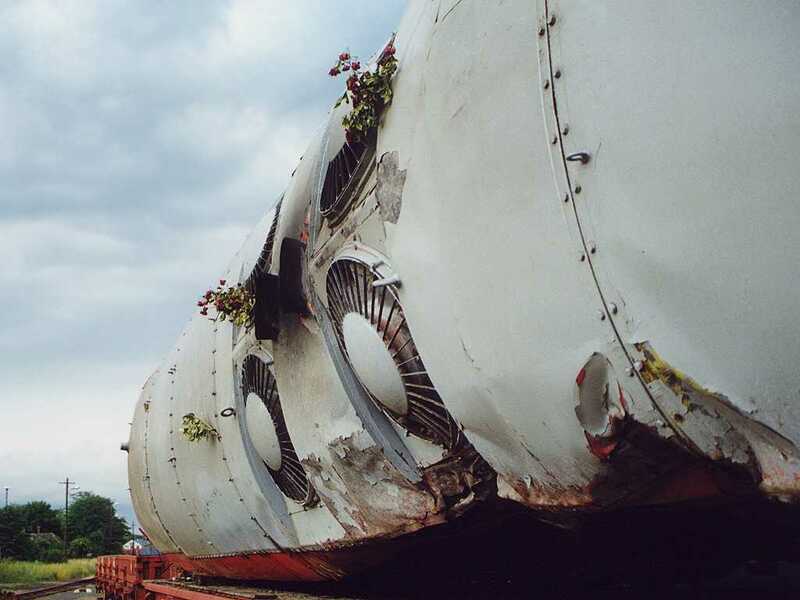 The poor M61,004 was killed in a heavy accident on 4th June 1999. 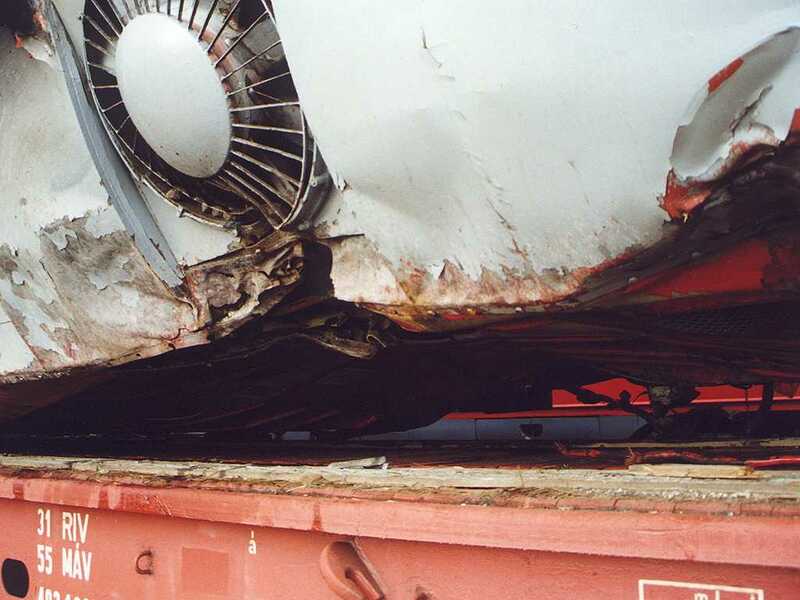 More infos and pictures about the tragedy are to be found here. 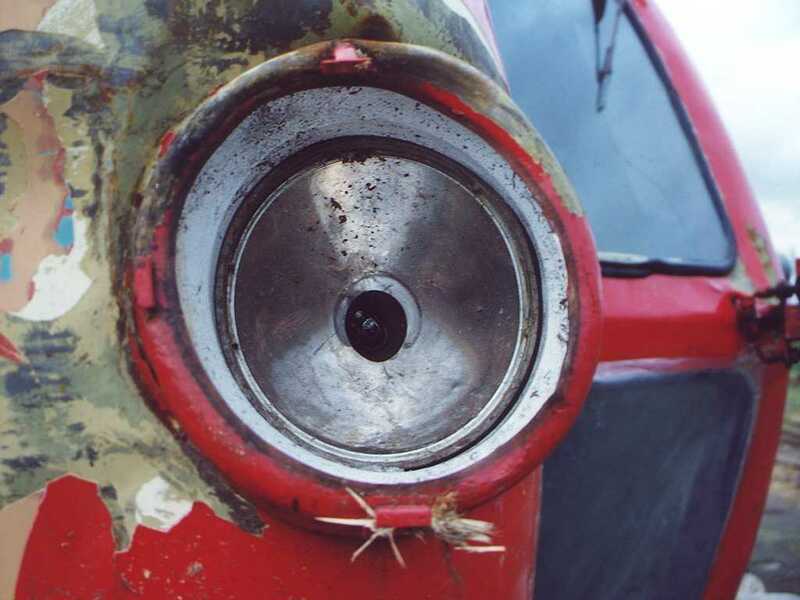 Read more about the 004here! 1024x768, 69736 bytes. 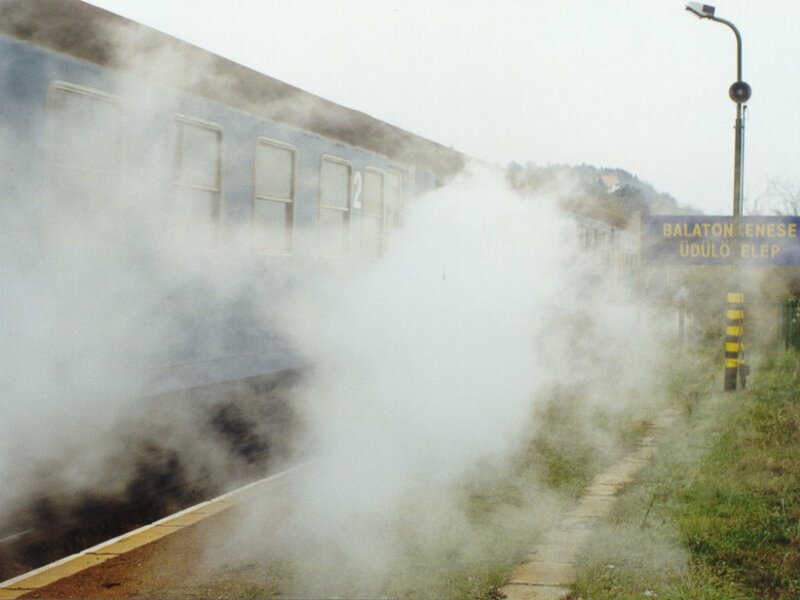 Arriving to Balatonalmádi in August 1990. 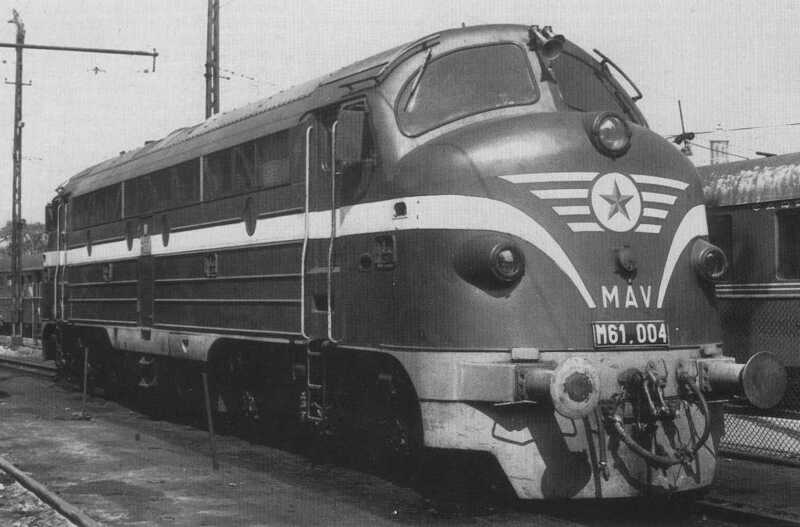 Photo by Ferenc Kövesdi. Also available in smaller size: 800x600, 46655 bytes. 1024x768, 89667 bytes. 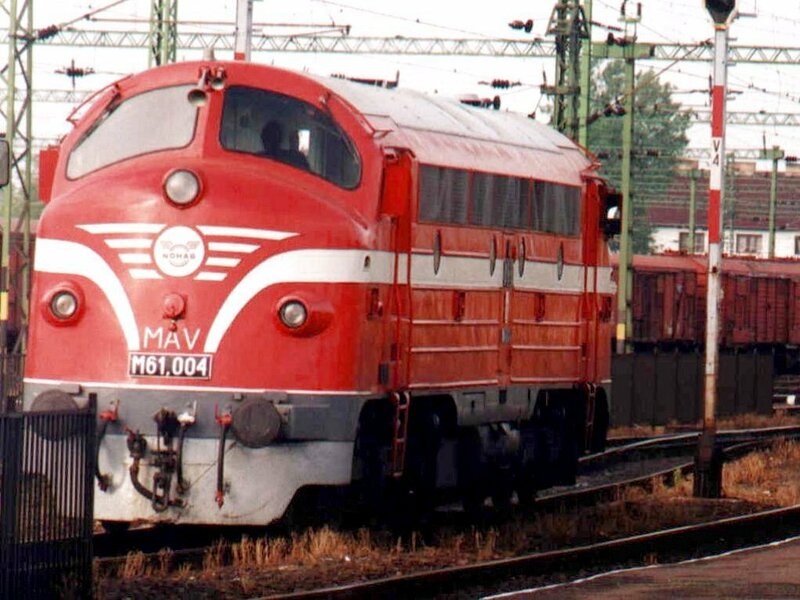 Waiting for depart with a fast train at Budapest-Déli pu. in Summer 1989. 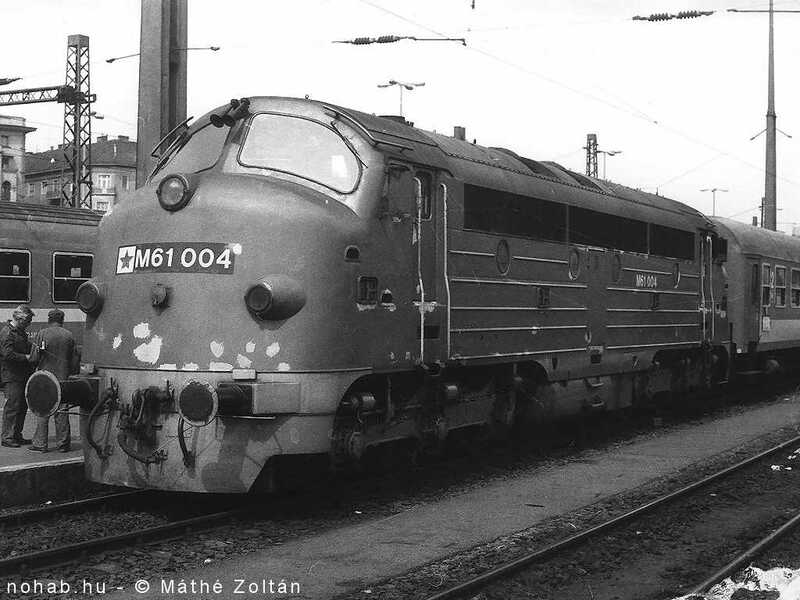 Photo by Zoltán Máthé. Also available in smaller size: 800x600, 56858 bytes. 1024x768, 294634 bytes. Photo and scan by Galaxy. 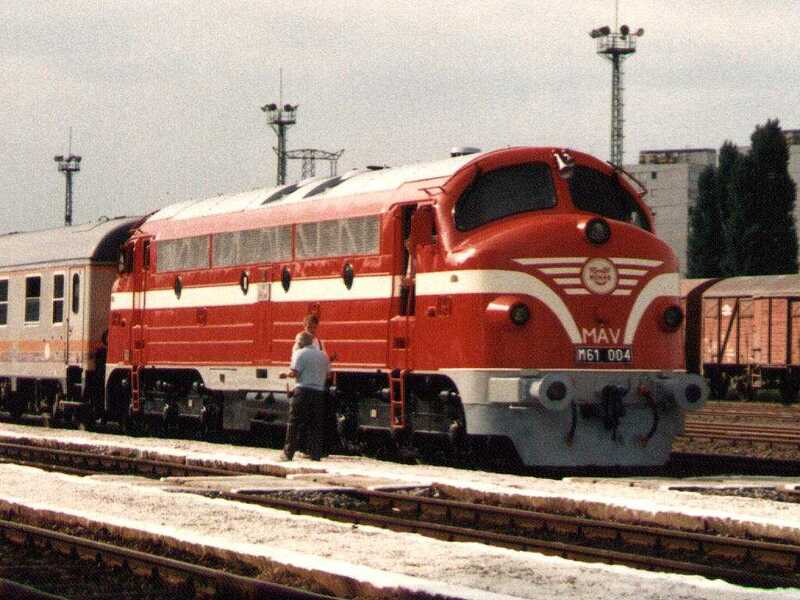 Picture was taken at Tapolca on 8th June 1999. 1024x768, 235375 bytes. Photo and scan by Galaxy. 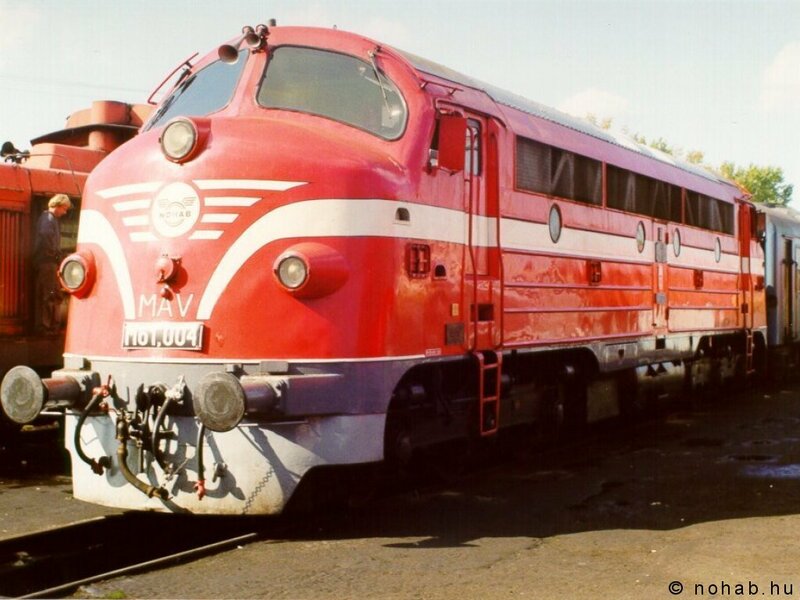 Picture was taken at Tapolca on 8th June 1999. 1024x768, 219317 bytes. Photo and scan by Galaxy. 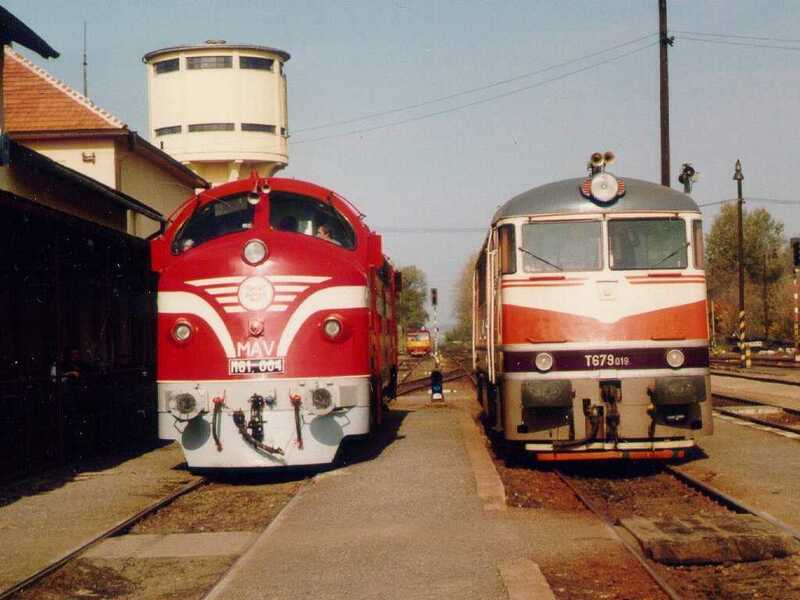 Picture was taken at Tapolca on 8th June 1999. 1024x768, 300448 bytes. Photo and scan by Galaxy. 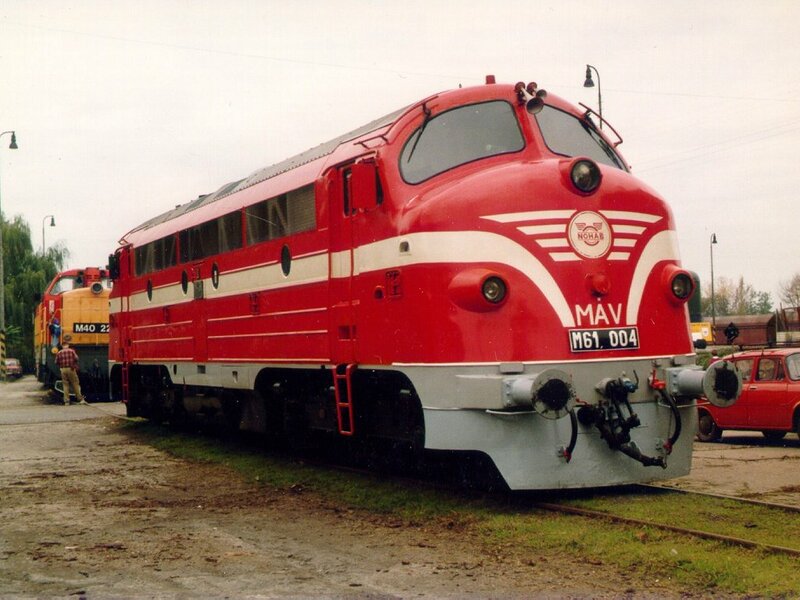 Picture was taken at Tapolca on 8th June 1999. 1024x768, 178780 bytes. Photo and scan by Galaxy. 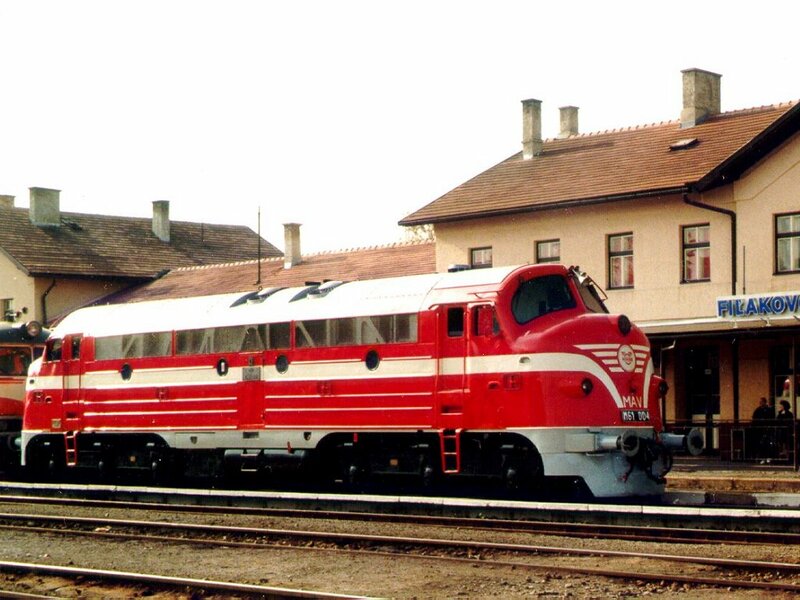 Picture was taken at Tapolca on 8th June 1999. 1024x768, 157790 bytes. Photo and scan by Galaxy. 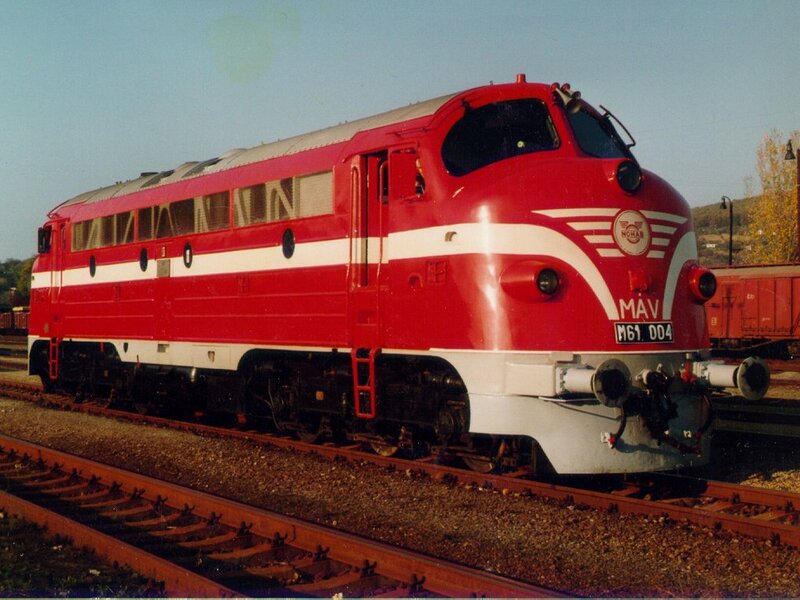 Picture was taken at Tapolca on 8th June 1999. 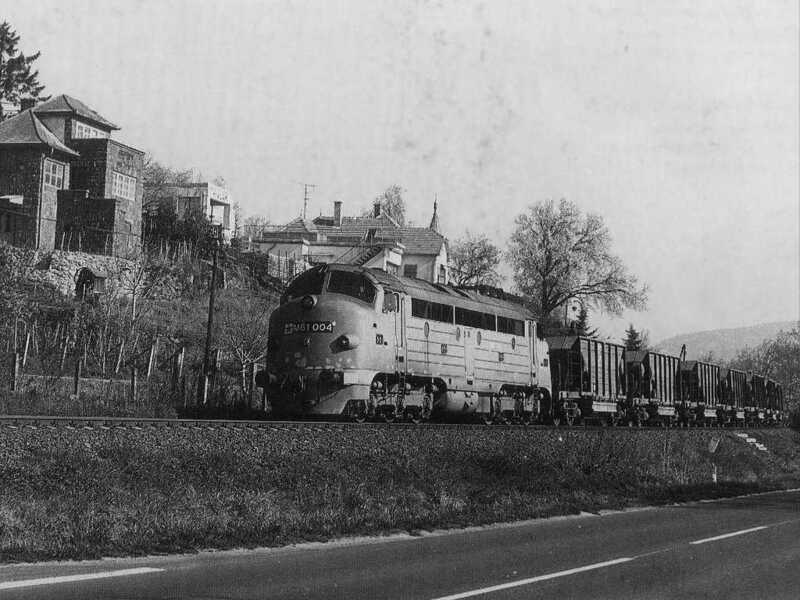 1024x768, 195911 bytes. Photo and scan by Galaxy. 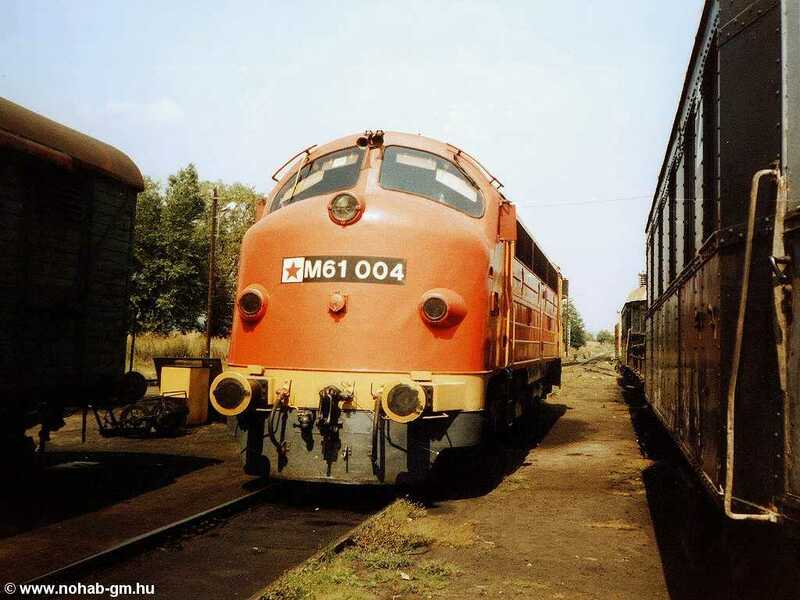 Picture was taken at Tapolca on 8th June 1999. 1024x768, 215426 bytes. Photo and scan by Galaxy. 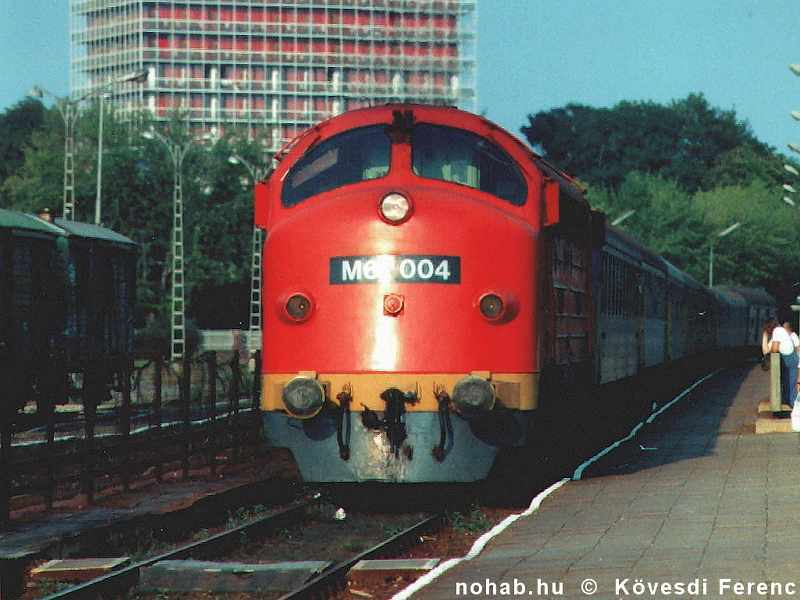 Picture was taken at Tapolca on 8th June 1999. 1024x768, 356779 bytes. 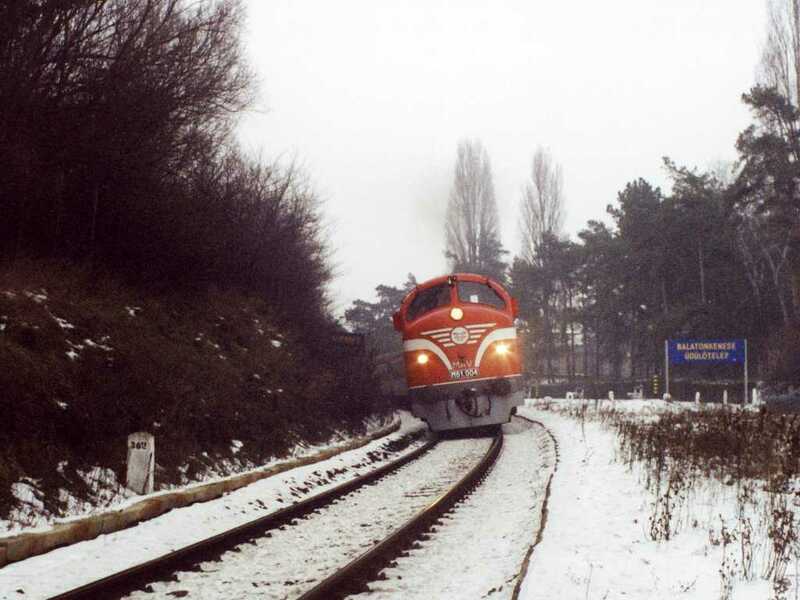 Picture was taken at Révfülöp on 17th January 1999 (train 9732). 1024x768, 153157 bytes. 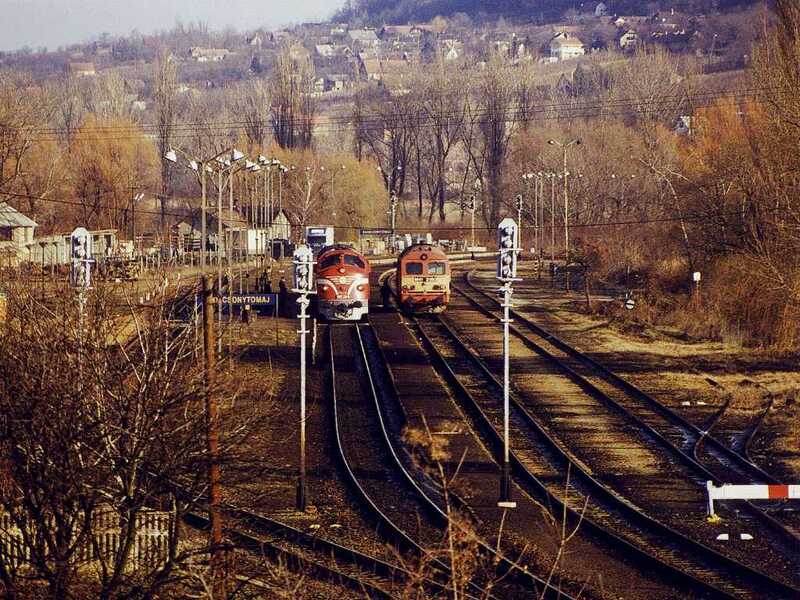 Photo & scan by Illés Fodor, picture was taken on 12 October 1996 in Filakova, Slovakia. 1024x768, 144940 bytes. 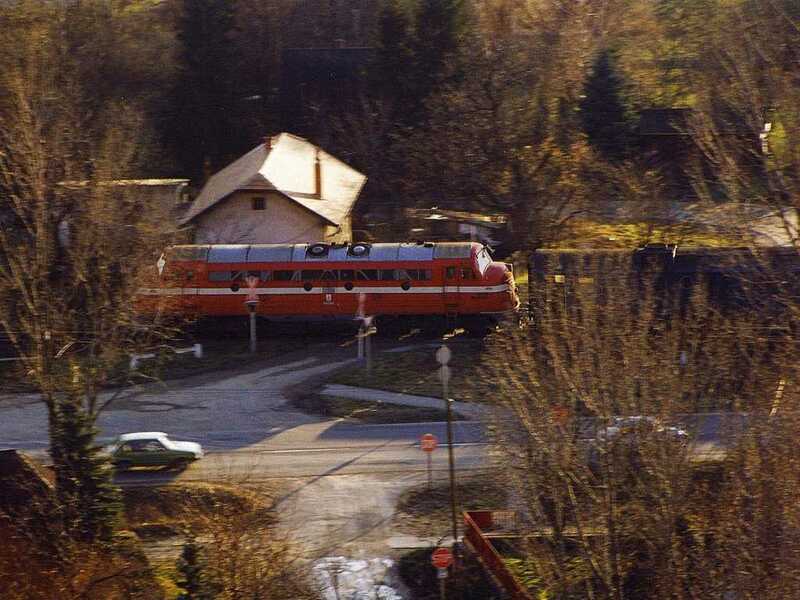 Photo & scan by Illés Fodor, picture was taken on 12 October 1996 in Filakova, Slovakia. 1024x768, 139824 bytes. 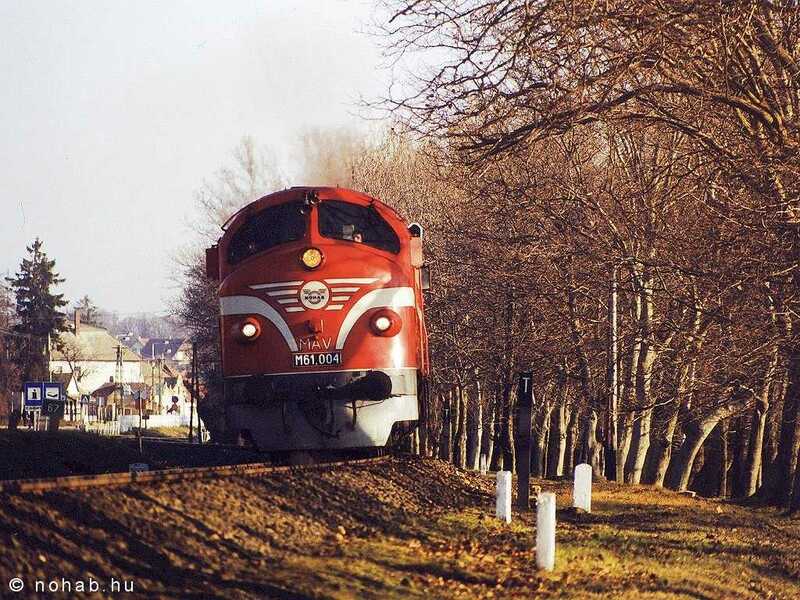 Photo & scan by Illés Fodor, picture was taken on 12 October 1996 in Filakova, Slovakia. 1024x768, 144753 bytes. 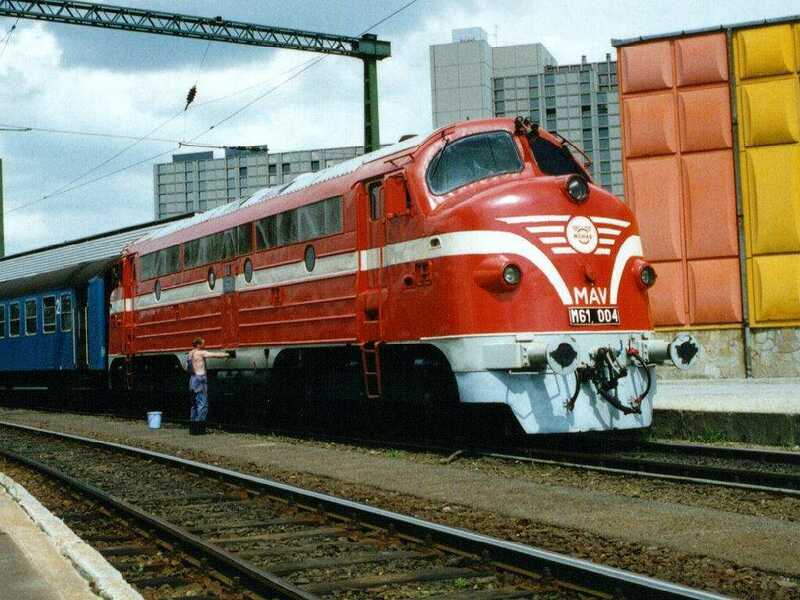 Photo & scan by Illés Fodor, picture was taken on 12 October 1996 in Filakova, Slovakia. 1024x768, 148718 bytes. 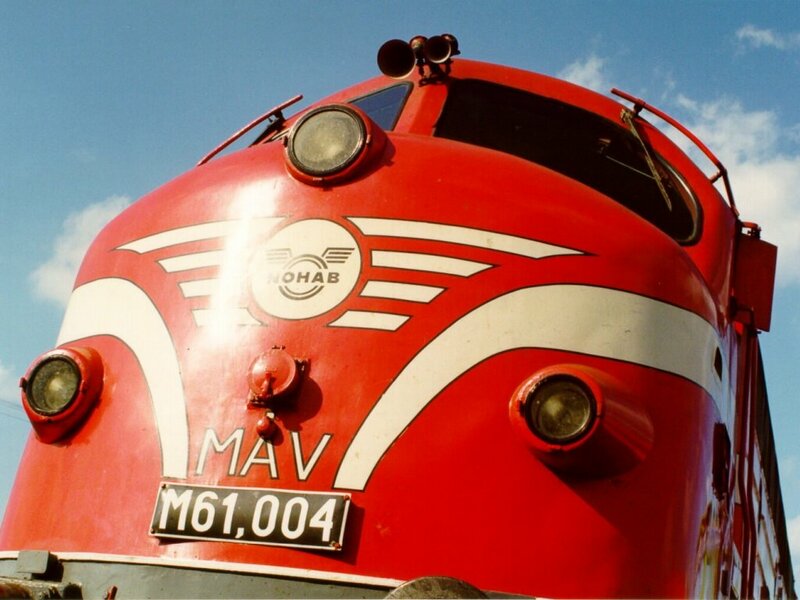 Photo & scan by Sándor Kovács. 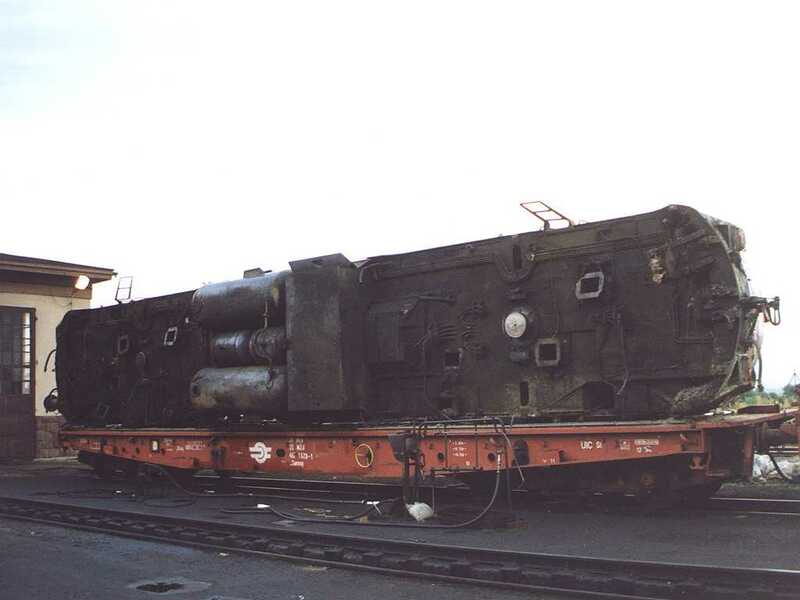 Picture was taken at Székesfehérvár on 15th May 1999. 961x687, 110262 bytes. 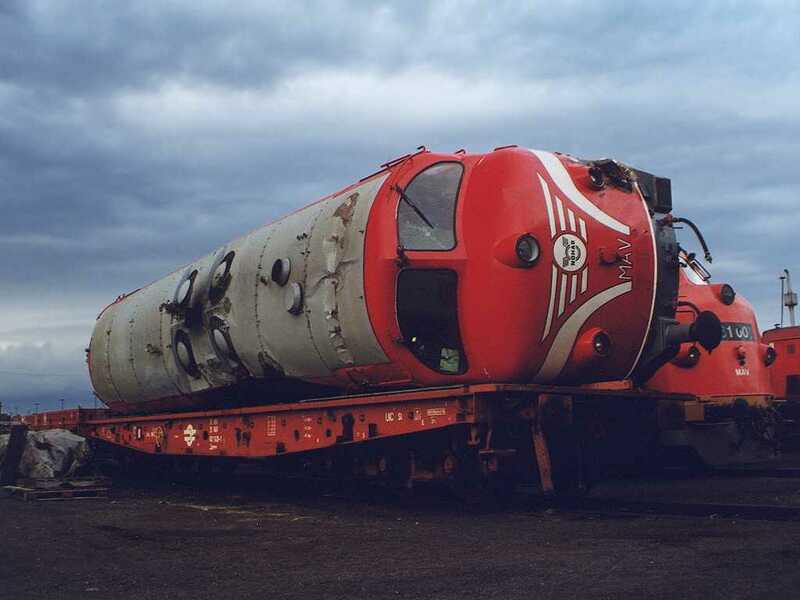 Photo & scan by Sándor Kovács. 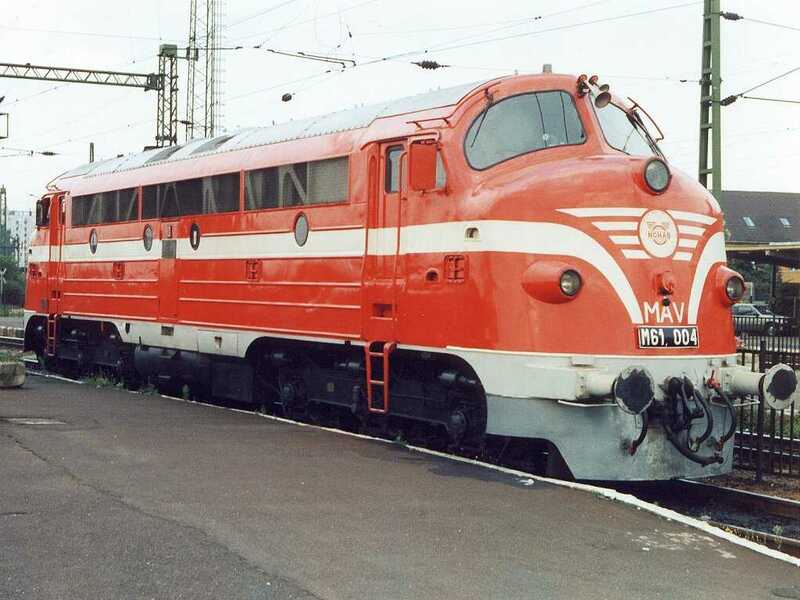 Picture was taken at Székesfehérvár on 15th May 1999. 1024x768, 294864 bytes. 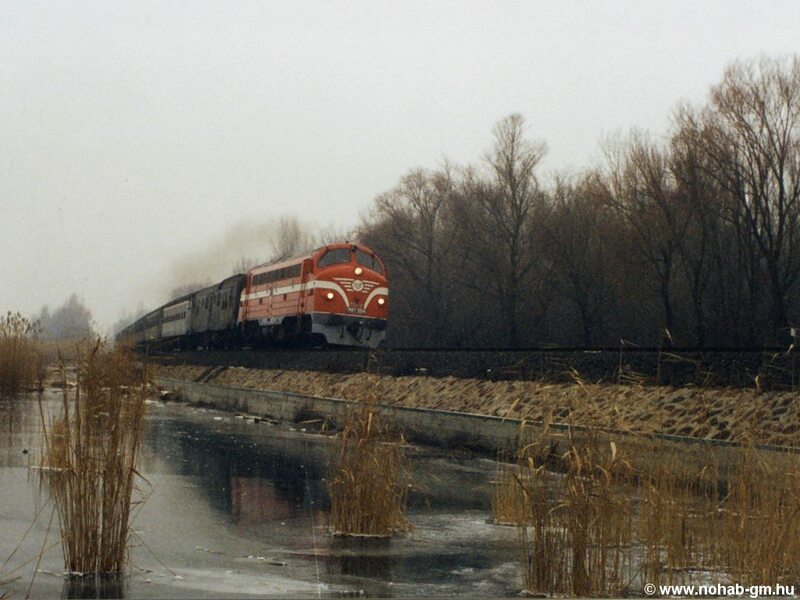 Picture was taken near Badacsonyörs on 17th January 1999 (train 9732). 1024x768, 239251 bytes. 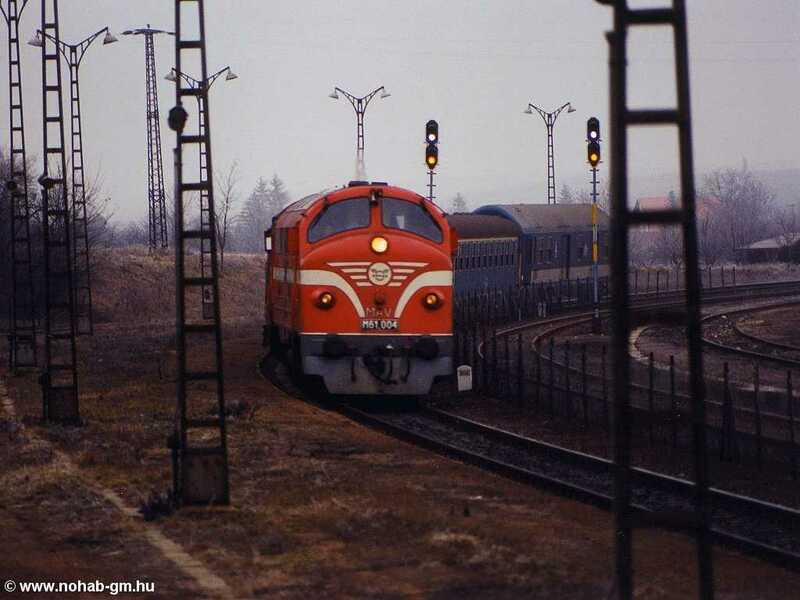 Picture was taken at Balatonkenese on 17th January 1999 (train 9745). 1024x768, 315088 bytes. 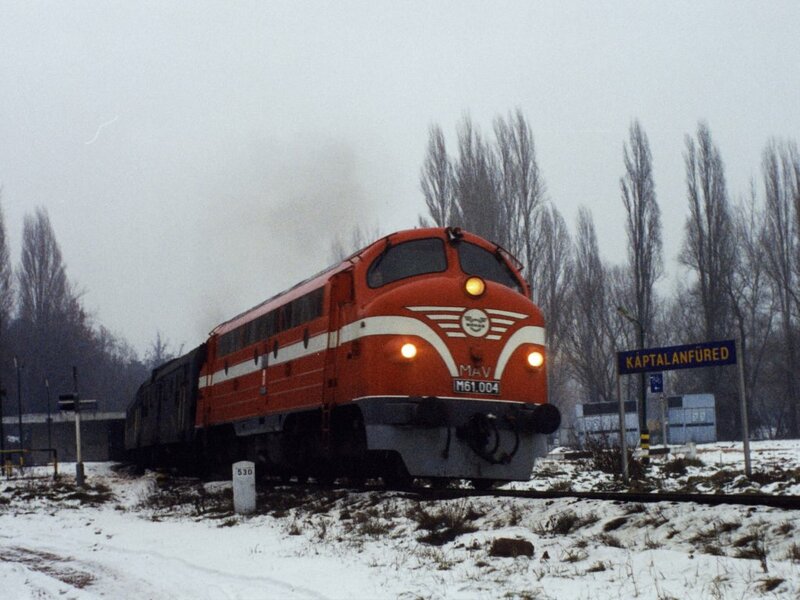 Picture was taken at Balatonakali on 17th January 1999 (train 9732). 1024x768, 318352 bytes. 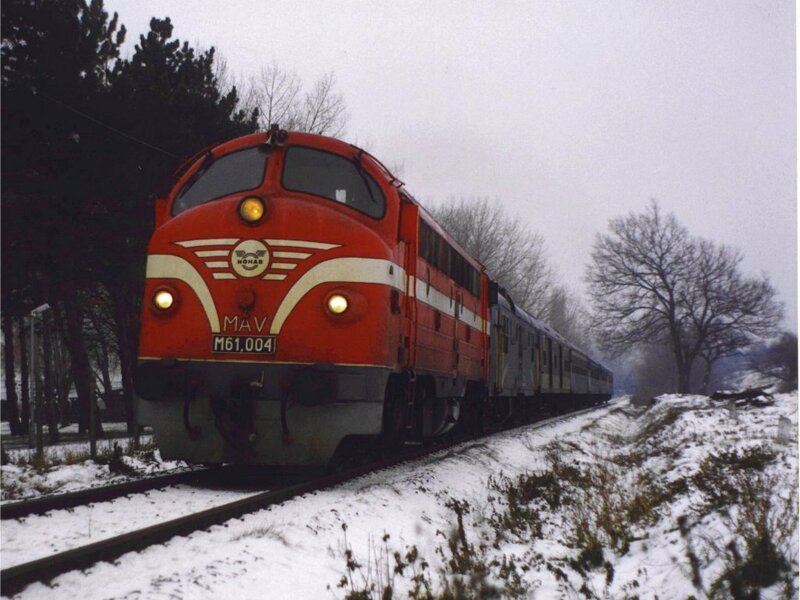 Picture was taken at Badacsonytomaj on 17th January 1999 (train 9732). 1024x768, 168741 bytes. 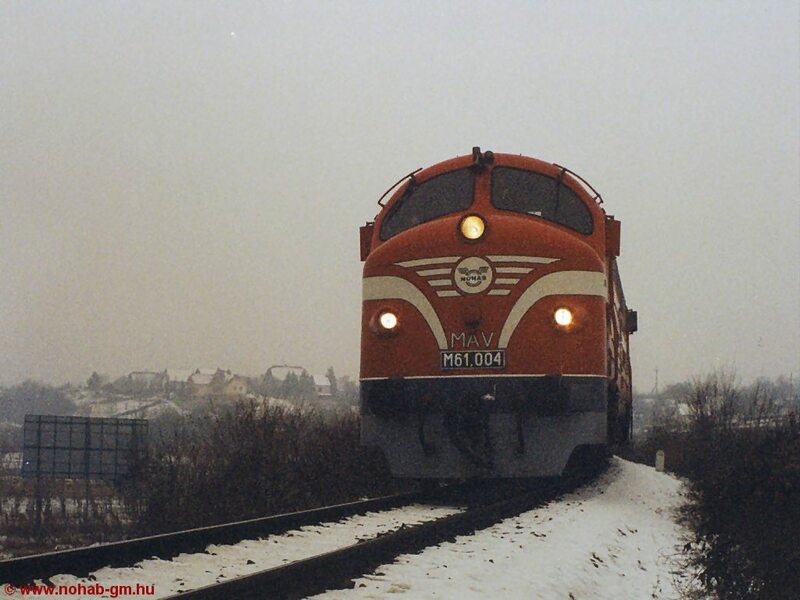 Picture was taken at Csajág on 31st January 1999 (train 9714). 1024x768, 195159 bytes. He looks like Santa Claus...Personally, i don't like the colour of the 004 very much, because it's very far from the original, but in the snow He is sooo beautiful! 1024x768, 200497. One of my favourites. 1024x768., 220293 bytes. 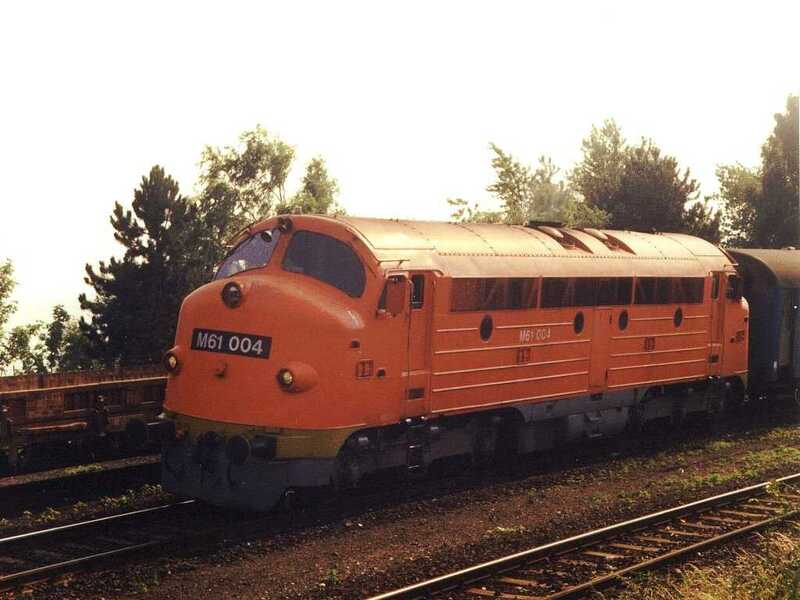 Picture was taken at Tapolca on 15th August 1986 by Zoltán Várkonyi. 1024x768, 157683 bytes. Picture was taken by András Ekésin 1992 at Balatonakali-Dörgicse. 1024x768, 113783 bytes. 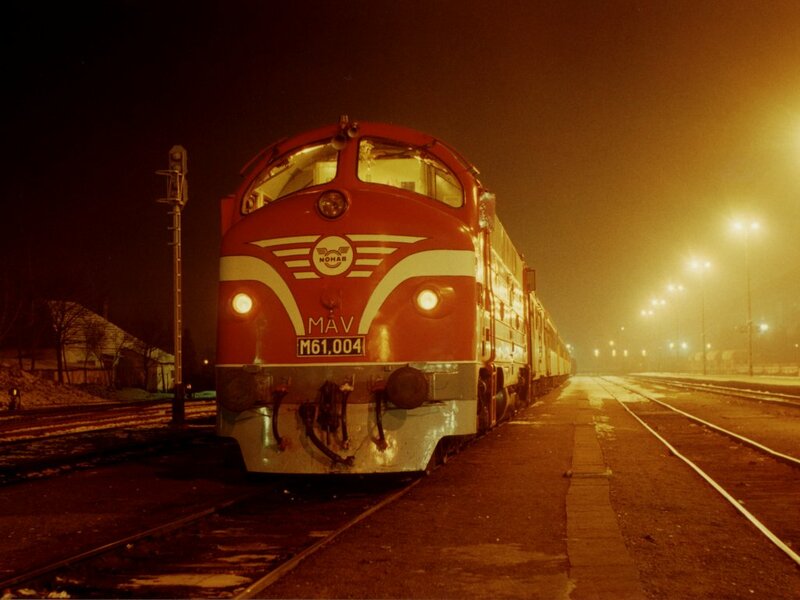 Picture was taken by Zoltán Káldinear Budatétény in the early 80's. 1024x768, 250098 bytes. 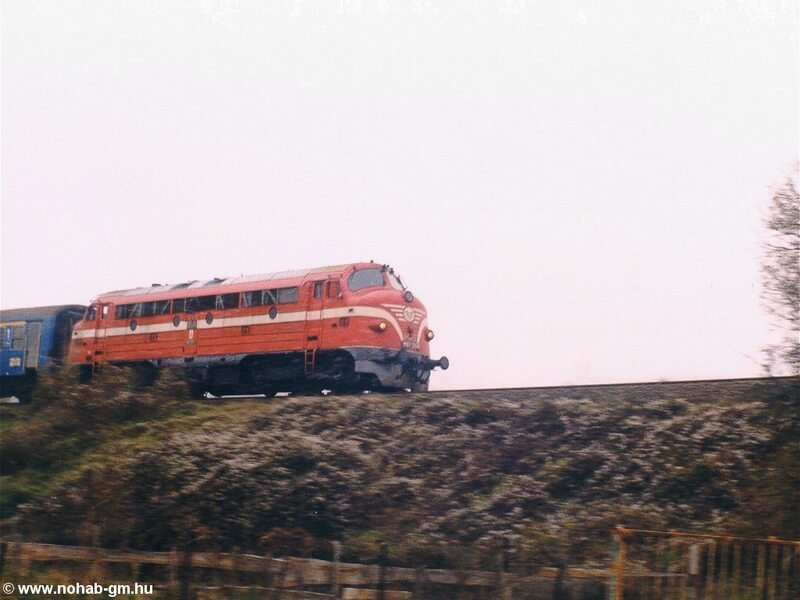 Picture was taken by Richard Latten on 31st March 1989 near Badacsonytomaj. 1024x675, 176045 bytes. 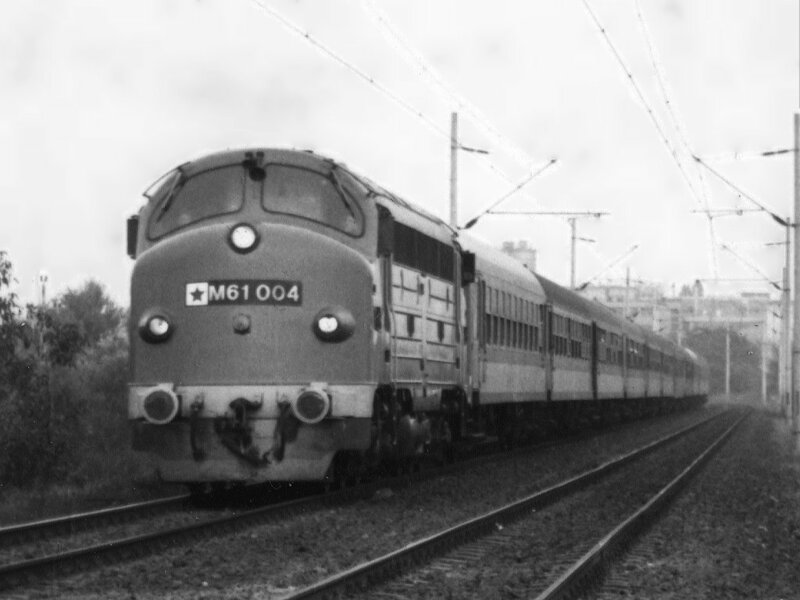 Picture was taken by Mihály Kubinszky at the Budapest-Déli pu. on 9th April 1974. 1024x768, 194337 bytes. 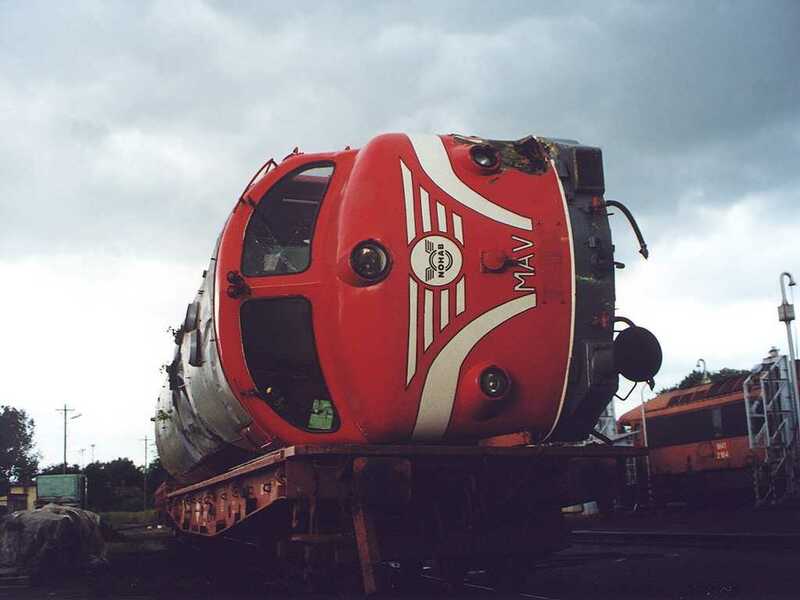 Picture was taken at Székesfehérvár by Péter Werner Gróhon 10th August 1997 (train 9702). 1024x768, 163567 bytes. 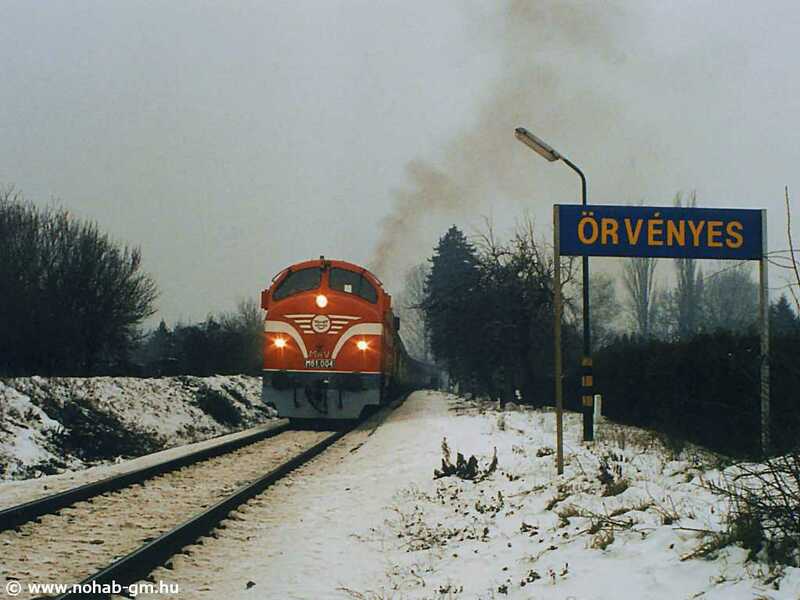 At Örvényes (S 9705) on 29th December 1998. The big smoke comes from the electric train-heating car.
. 1024x768, 209166 bytes. 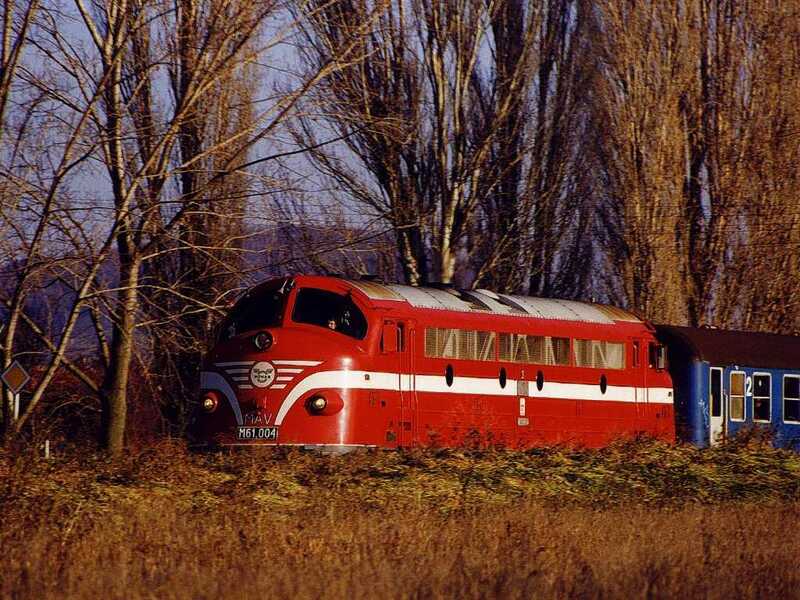 Between Balatonarács and Csopak (same train as above). 1024x768, 141962 bytes. 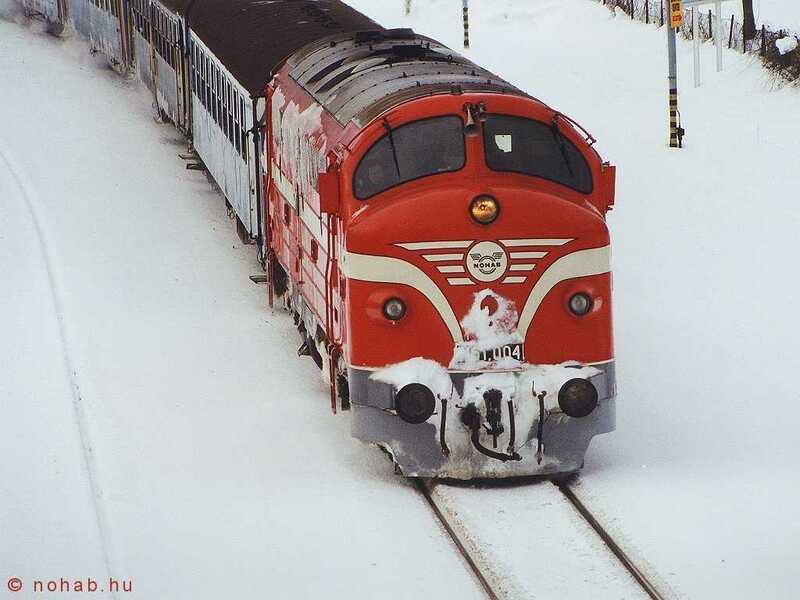 At Káptalanfüred (29th December, train 9714). 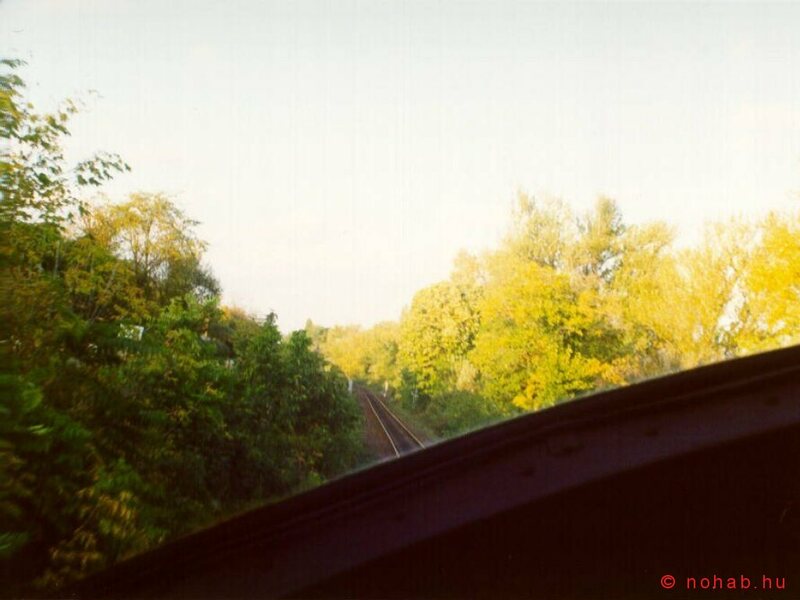 Sorry for the noise in the last four pictures, it was a 400 ASA film, i've used it for the first (and last) time. 1024x768, 140906 bytes. 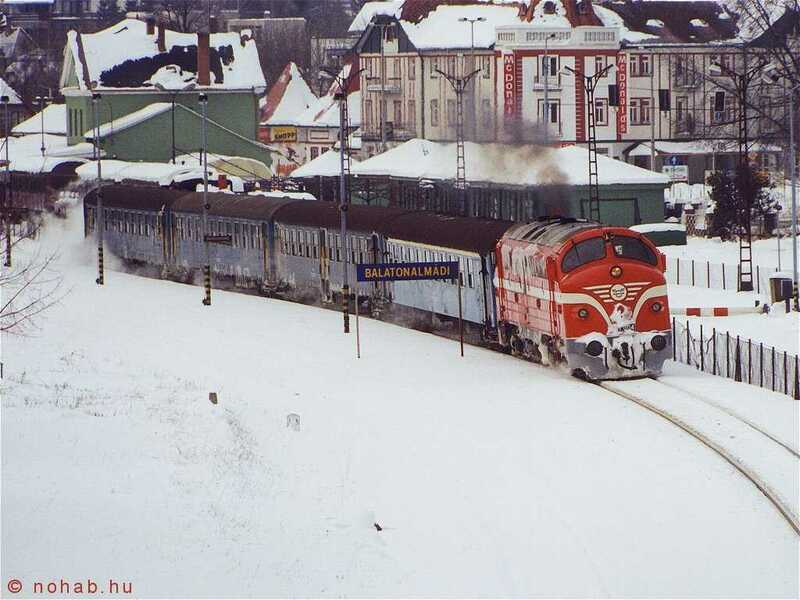 At Tapolca, 28th December 1998. 1024x768, 108040 bytes. At Tapolca. 1024x768, 138529 bytes. 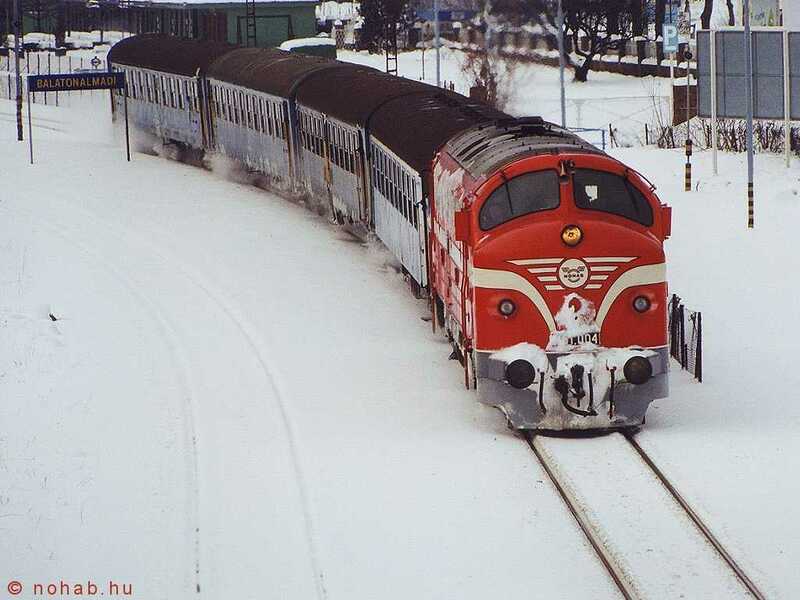 Between Balatonakali and Fövenyes on 13th December 1998 (train 9725). 1024x768, 181019 bytes, by Galaxy. 1024x768, 181623 bytes, by Galaxy. 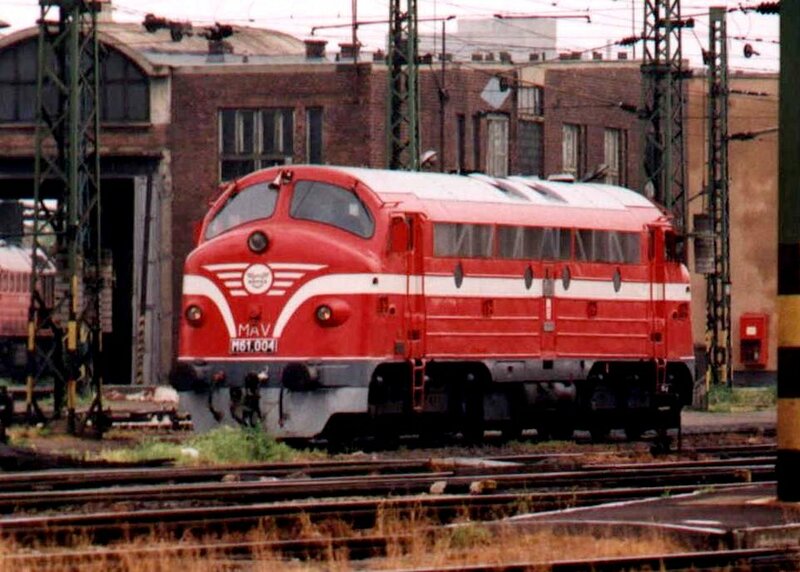 Picture was taken at Budapest-Déli pu in the spring of 1996. 1024x768, 84979 bytes. The same place from the board on 10th October 1998. 800x600, 85357 bytes, by me. 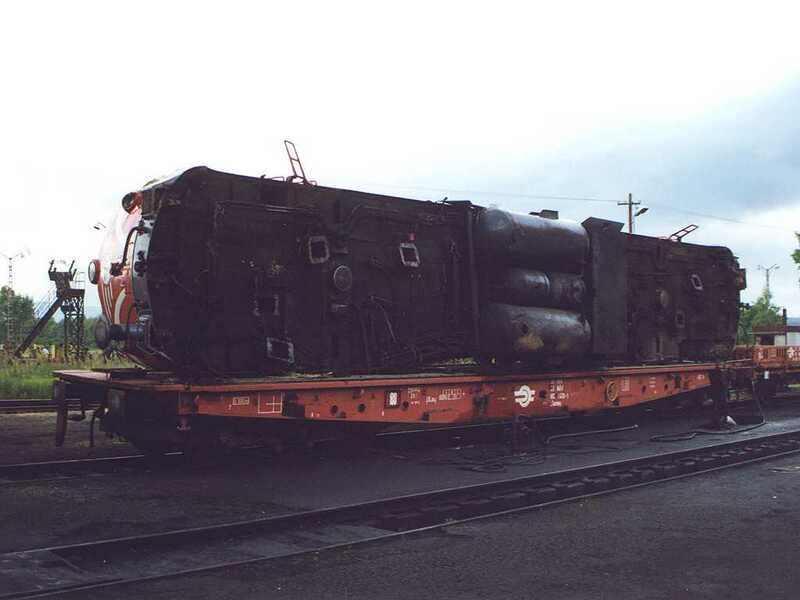 The small table above about the protected status of the Loco. 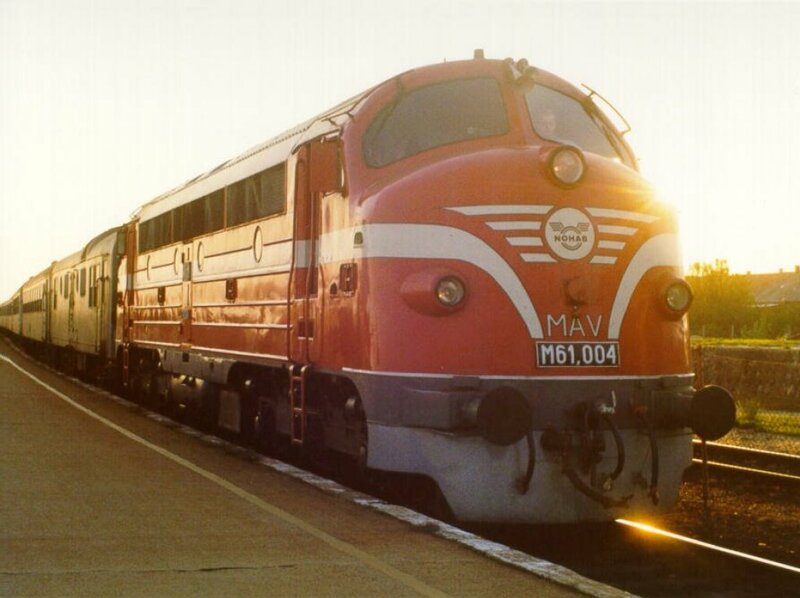 The big table is the table of the M61 013. 1024x768, 125099 bytes. 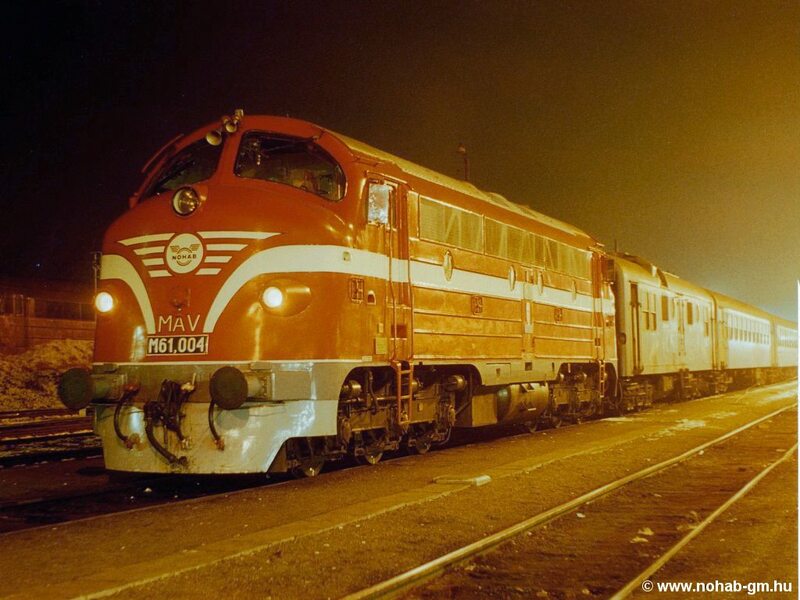 Picture was taken at Tapolca on 10th October 1998. 1024x768, 117951 bytes. 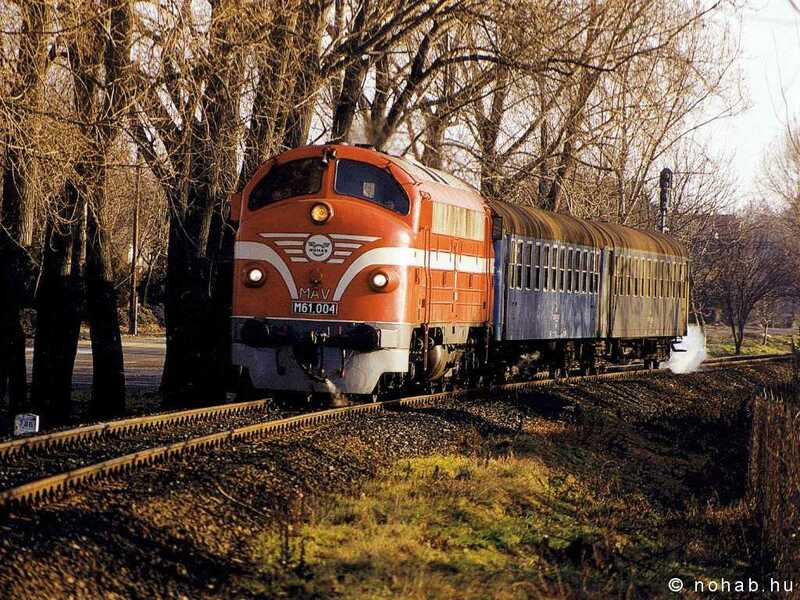 Picture was taken at Tapolca on 10th October 1998. 1024x768, 106320 bytes. 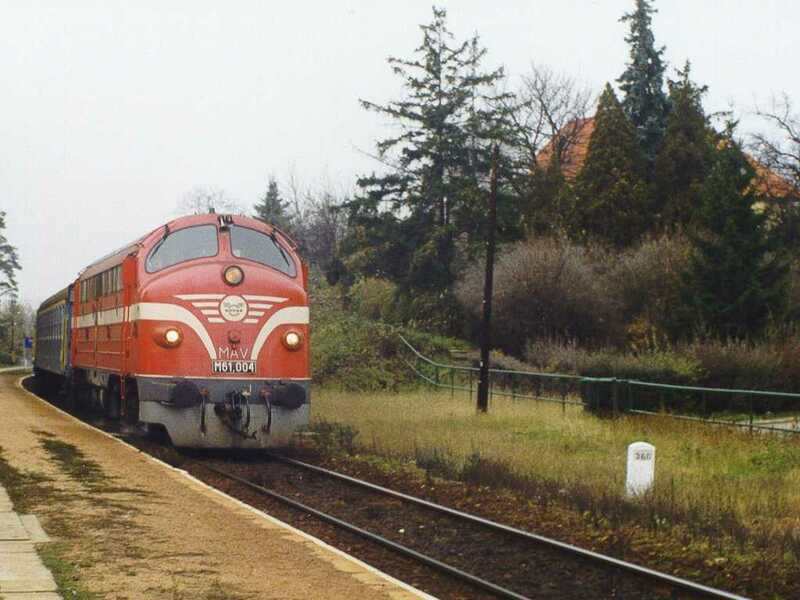 Between Káptalanfüred and Csopak with the S9705 on 21st November 1998. 1024x768, 157717 bytes. 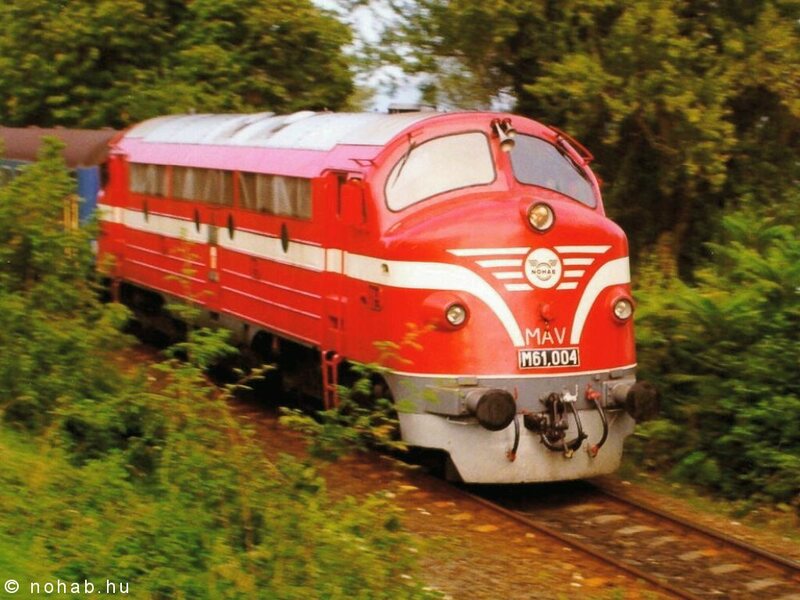 With the same train at Kenese-Üdül?telep. 1024x768, 83709 bytes. 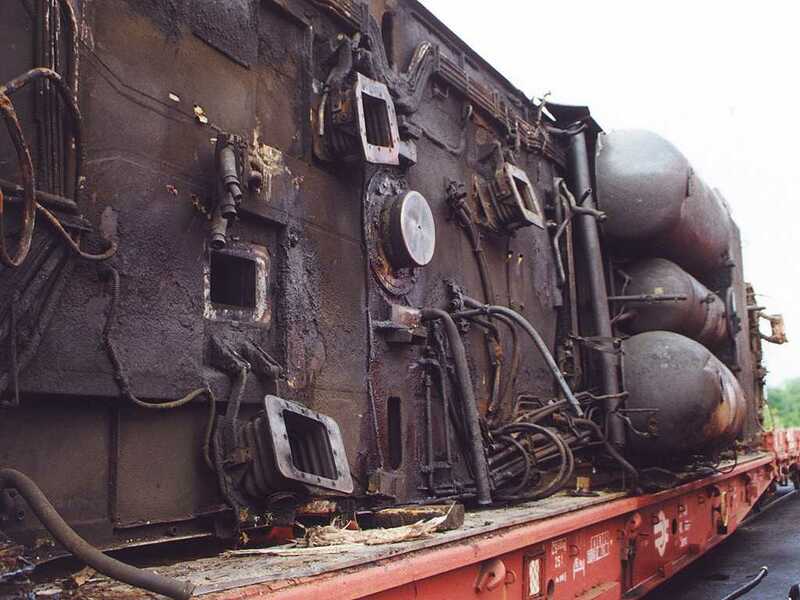 With steam train-heating at Kenese-Üdül?telep.